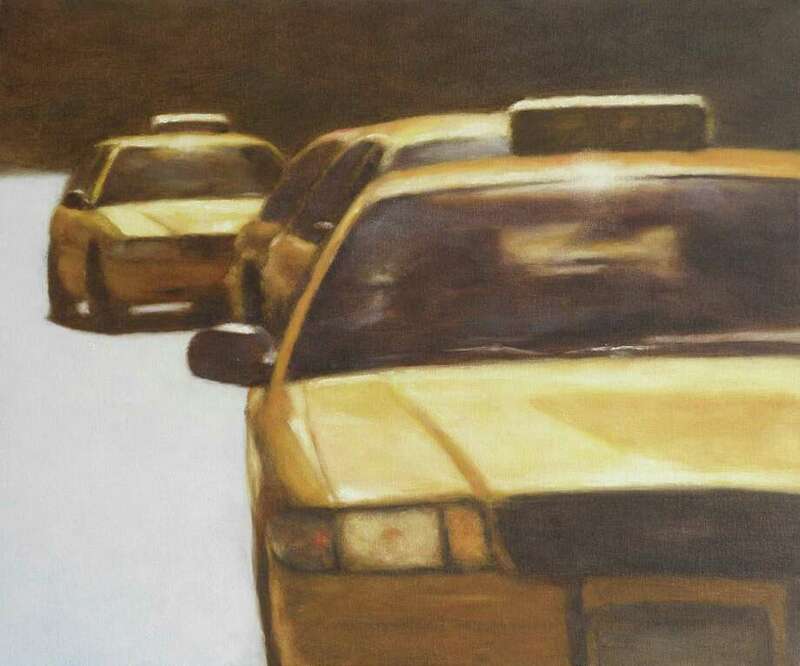 "Taxi Line," an oil painting by artist John Folchi, will be among the works on display in the exhibit "Use of Shadow and Light" opening on Wednesday, April 3, at the Geary Gallery, 576 Boston Post Road, Darien. "Use of Shadow and Light," featuring the still lifes and nature scenes of Bronx fine artist John Folchi, opens on Wednesday, April 3, at the Geary Gallery, 576 Boston Post Road, Darien. The exhibit runs through April 27. Folchi , born in Bronx, N.Y., earned a Bachelor of Arts in fine arts and a Master of Fine Arts from Lehman College (CUNY). He also studied at the Art Students League of New York. Folchi's primary medium is oils, and he is known for his use of sunlight and shadow within his still life and nature scenes. Although his work adheres to the representation of nature and subject, the main focus is an exploration of the formal elements of painting, including space, composition or design, color, light, texture and paint handling. The subjects he chooses become vehicles for this interest. In one landscape, his objective was the painterly translation of the complexity of light on foliage, while the automobile subjects involved the placement of more defined shapes in a picture plane. In still life, the concern is with the composition of simple forms within an intimate space. It is Folchi's view that these formal concerns must always take precedent over content. However, he is fully aware of the emotional and psychological force of content, whether it is a secluded spot in the woods, a line of cars, or a bottle and plate of fruit. These subjects elicit subjective viewer responses --i n the art of painting, the artist strives to project his unique vision or perception of the world. Folchi's work has been publicly exhibited at the Sears Peyton Gallery in New York City in 2000, group shows at the Lehman College Gallery in 1995, and the Terrain Gallery in New York City in 1981 to 1983, and at an "emerging artists" show at the Bronx Museum of the Arts in 1980. He has had collections at Pfizer, Fidelity Investments, the U.S. Department of State and the Lehman College Library. Admission is free. Geary Gallery is open from 9:30 a.m. to 5 p.m. Wednesday through Saturday. For information, call 203-655-6633 or visit www.gearygallery.com.